The other day I was watching one of the morning news when I saw an interesting discussion of grocery shopping tips for the budget-minded. Given that there were a number of good tips embedded in that discussion, I thought I’d distill it down into five bite-sized chunks for your reading pleasure. 1. Buy store brands. You have nothing to lose. Not only do you avoid paying for the marketing efforts of the national brands, but most stores also offer a money back guarantee. So go ahead and try out their brands. On the off chance that you don’t like them, you can alway bring them back. 2. Size matters. Keep an eye on unit pricing (e.g., price per ounce) and don’t pay extra for convenience packaging. If you need small bags of chips, buy a big bag and then parse it out into baggies. 3. Don’t automatically assume that bigger is better. Following on from #2, don’t assume that you’re getting a better by just grabbing the biggest package on the shelves. Here again, pay close attention to unit price. I’ve written about this previously in the context of a battery “deal” that I ran across at Sam’s Club. Also keep in mind that bigger is only better when you actually need that much. A 5 gallon pail of mayonnaise isn’t a bargain if you only need 8 ounces. 4. Beware the end caps. Those big displays at the end of each aisle are where they keep the really good deals, right? Well… Not necessarily. Because sales typically increase when a product is placed on the end cap, stores often use them as a “dumping ground” for items that are selling well. 5. Beware the store circular. Believe it or not, items featured in the store circular aren’t always the best deal. 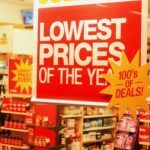 While there are often a number of great deals featured in the circular, there are often a number of not-so-great deals, as well. I agree with all your tips. I’d also like to add not to shop more than you actually need specially food items. Also, for those buying in bulk – keep track of the price per unit as sometimes those giant packages aren’t any cheaper (and are sometimes more expensive) than buying the normal size. Also, when you know the going rate, you know who is having the best bargains that week and you are less likely to get taken in by those flashy ‘big deals’ in store. Use coupons! Combine coupons with weekly in-store specials to save more (bogo in store + $1 off coupon = good deal!). Make a list ahead of time and check the circulars against that list – go to the store that has those items cheapest that week and only get items on the list. Buy and freeze when you can. Also, be aware of all store policies. Some stores will double coupons. Some stores will match the price of other stores (Wal-Mart is one). Some stores will accept store coupons in addition to manufacturer’s coupons. The more info you have, the better your receipt will look! When I was a kid, one of our local grocery stores had one day where coupons were all doubled (nowadays doubling usually stops at $1.00) and mom and her best friend would plan for days – collecting coupons, looking at the sales circulars, etc. and would go very early in the morning (it was open 24 hours) and leave with several carts full of stuff and a receipt for some tiny amount like $10. Sure they had six giant bottles of detergent, but they had lots of friends and they were always willing to share. I loved watching them perform this miracle of frugality (of course it was, in fact, a necessity due to their lack of income but I didn’t know that at the time). Start keeping track of the prices you pay for items that you buy regularly. The stores use marketing ploys to make “Sale Items” sound like a great deal, when sometimes they’re barely offering a discount at all. Also, when YOU know you’re getting a good price, you’ll also know it’s time to stock up on items that you won’t let go to waste. Try not to be a brand shopper. Very rarely do the best deals happen frequently on the same brands, be it store brands or national. If you are able to find a few different brands that you like for each product you buy regularly, you won’t get stuck paying the regular price when you “run out and have to get more”. 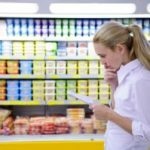 Next, there is more to end caps and aisle displays than meets the eye. Even if you are an educated shopper that knows an item is at a good price this week, take the time to find it in its’ usual location. Many times the stores use perishable items as loss leaders because they are nearing the end of their shelf life. You might just find a more distant expiration date if you check the dates at both locations. Last and most certainly not least, read your receipts before you drive away! I can’t count how many times sale items have not rang up at their correct, advertised, prices at the register. If an item or items doesn’t ring up correctly and you spot it before leaving, you can get them to correct before you leave. Some stores (Kroger) will even give you the item for free because of the mistake. For stores that don’t have the same policy, they will at least pay you for the difference. Great tips. I have also noticed that the popular items are all at eye level in the stores and if you lok more carefully at the top and bottom shelves you may find some great bargains. And check the savings. So many times I’ve been drawn to a sales ticket, only to look closer and realise that the saving is 4 cents or something equally lame. In support of point #1, I (or my family) have yet to prefer a nationally advertised brand of peanut butter over what most supermarkets sell as their own. Good post. In the place I work, the store actually gets paid by the manufacturer to place their product on the endcap. They know it increases sales!! tips no. 6 – try looking for the best deal for our money. usually shopping mall give the best discount on items that shows in catalog. You know, my local grocery store (part of a 5 store local chain) usually has their best sale items on the end caps. Deals like .99/64 oz apple juice, $5.98/6 pack micro-brews, etc. I ALWAYS check the end caps for the deals. Maybe it’s because they’re small, and not merchandised by a huge corporate office…anyway, good tips! 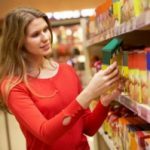 I especially agree with point #1–oftentimes the store brand actually IS the name brand product. My father is a truck driver and he regularly hauls grocery items from maufacture location to Grocery warehouses and he’ll have pallets of Tide and storebrand laundry detergent coming out of the same plant for transport. Do most stores really take the products back if you don’t like them? I am always willing to try store brands, and I really like some, but I think others are pretty awful. I would be encouraged to try them much more often if I knew the money-back guarantee really worked (I always see that on boxes, but always worry it would be too much of a hassle). Look down too! The items that cost the most per unit are usually at eye level. The closer you get to the floor, the cheaper they get! Don’t forget the products that they put in the middle of the aisle sometimes. I work in retail and end caps and isle products bring 30-40% of the business. They know that the probability that you buy an item dramatically increases if its put in the aisle. Good advice on the circulars. Stores frequently run loss-leaders right next to items they marked up to offset. It’s the classic bait-and-switch…get you in the store with a loss-leader promotion and then sell you on everything else at regular price. It takes a close eye to discern the difference. Zachary: Just look out for those 5 gallon buckets of mayonnaise! I totally agree. Another great way to shop cheaper is to buy in bulk at places like Sams Club. Yes, they charge an annual fee to buy stuff there, but what I do is I help split that cost with a couple of my housemates. Then we all go shopping (Or one of us does) for each other and pick up common household materials.